So firstly let me give you a basic overview of the various facets of the business and then (in the second part) move forwards into how the restructuring is envisaged. Wytchwynd Photography – exactly what it says. This aspect of the business has grown over the years from its roots in advertising and press work (with particular emphasis on automotive, marine and live music). Westworld Artist Management – works with bands and solo artists with a brief to help and guide them through their chosen career. I am involved in a “work in progress” venture currently styled as “The Wheel Project” the purpose of which is to create and develop life skills and a life long learning experience for children, young adults and adults who have expressed a need (or desire) to partake in additional learning or who, for whatever reason, might have been excluded from main stream education. Blogs, Books, CDs etc. 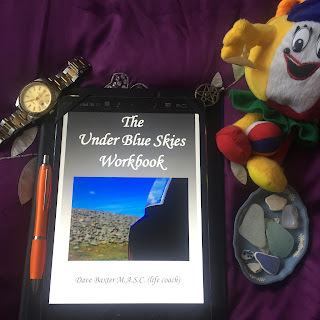 - Under Blue Skies / Wytchwynd Photography / A Little Bit of Magick are the 3 blogs that I compile that cater to various different readerships. CauldronFM – a complete one- stop site for all of the pagan orientated radio shows we have created since those very first tentative steps in 2010. Wytchwynd Photography will remain unchanged but there will be a full review of the website. So as you may appreciate there is a lot of change going on and I am working hard to consolidate and ultimately create a more streamlined business that brings knowledge, techniques and hopefully entertainment to all our subscribers and services that I hope will be of interest to many people. To provide an analogy many years ago there were local government plans to create “New Towns” and these developments swallowed up all the smaller villages in the surrounding areas. I for one could never understand why this had to be but now many years later, those towns have taken on their own lives and are thriving. It is that knowledge and way of thinking that is bringing about the changes that I have outlined above. About Dave I am a coach; speaker; radio presenter and founder of The Blue Sky Company. I am also a therapist and co-owner of a virtual light centre called The Crystal Spring. My therapy work includes music therapy; crystal therapy and I am also qualified as a Reiki Master / Teacher and I am currently studying a Colour Therapy course, and undertaking a Practitioner + Master’s training in Mindfulness. Follow the link to join our Facebook page Under Blue Skies that plays host to a group of like - minded people (also known as The Tribe).